Angry over your wardrobe? Use these five steps for a more pleasantly planned closet. Anything that doesn’t fit should be sold, given away or put into storage. This will eliminate the “I am so mad at myself because this doesn’t fit anymore” complaints and create a happier place for you to go when choosing an outfit. Place black in the back. Black can be flattering but it can also be a depressing color, especially when worn by your face. Choose some great hues to keep toward the front of your closet so that your eye will be drawn to these items first. Organize and color code your closet. Put like items together for easy outfit picking. 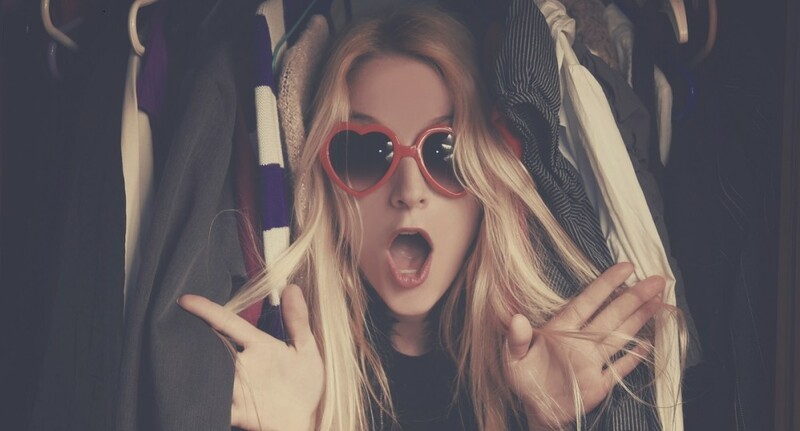 If you are not searching for things and have everything in its place you have no reason to be angry with your closet. Stock your closet with things you WILL wear. According to New York Magazine we only wear about 20 percent of our wardrobe on a regular basis. I know that darling fit and flare skirt is on sale but be practical while shopping. Fill your wardrobe with items you can definitely wear on a day-to-day basis. Special occasion shopping should be for specific events only. I have made this mistake in the past and had a beautiful dress and coat hanging in my closet for almost two years because I thought, Maybe one day I will wear this. Styles change and your body changes so make sure if you need a special occasion dress or outfit you shop specifically with that event in mind, rather than for something you might wear in the future because it’s on sale. Growing up in a small northern Minnesota town, Ashley Lundgren has always had one very unique gift, helping others find great style! Along her journey she attended Crown College and completed her Bachelor of Science degree in Fashion Merchandising through Westwood College of Colorado. During this time, she met and married a wonderful business owner, Dane Lundgren, They currently they have two darling children, a daughter and infant son! You can follow Ashley on Instagram and YouTube or visit her at ashleylundgren.com.